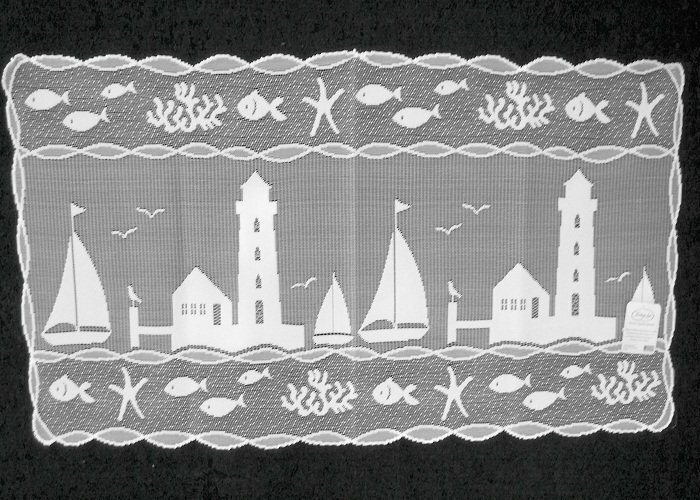 Bring a little of the ocean or lake into your home with this Harbor Lights placemat or this can be used for a doily, from Heritage Lace. Measures 14 inches wide x 48 inches long. Color of a vibrant white. Made of a 100% polyester. Pattern is beautifully done with sailboats, sand dollars, fish and a ever so peaceful lighthouse.